Photo. Joseph, the chief in the Insect tribe. After soaring over the jungle in a Cessna plane one day in July 2000, we landed at the missionary settlement of Ambunti. Here we hired to two guides, Philip Alois and Abraham, who took us safely up the Upper Sepik River in a small motorboat and into the dense jungle. The untamed Sepik river made us quickly beware of strong currents and floating debris, which can be huge chunks from the riverbank and the occasional whirlpools. To avoid any crashes we have took look carefully for items in water. From Ambunti the river turns more narrow and the land it flows through become more hill with denser vegetation. In many areas threes grow right down to the water`s edge. Face to face with a crocodile: joined a dramatic crocodile hunting with the Insect tribe one evening: a huge crocodile monster emerged near the shore, the spear hit the crocodile, but broke and a tribesman fell out of the canoe. The incident escalated into wildly shouting. Help, where is "Crocodile" Dundee? Read more: Dramatic crocodile hunting in Papua New Guinea! My sick friend Geir become cured by a witch doctor in a village: Geir had a cold and a little bit fever. He was worry that his tour had came to an end. The "medical treatment"(ritual) went far beyond my fantasy, but fortunately it worked. The witch doctor pulled effectively out the sickness from my friend in a way that modern doctors wouldn`t match. I will say it was a miracle. And then we both continued our in top shape. Fish soared above our heads when we sat in the canoe. To put it in another way: it was raining fish. The fish was more flying than jumping so that`s why we called it "flying fish". We had to turn our head low so the fish didn`t hit us with their sharp fins, and fortunately we avoided a bloodshare. Just little bit when we throw the fish out from the canoe. A woodo priest performed strange ritual in the evening. He made a large bonfire in the jungle near the village, and as we could observe from a distance: there were strange things going on. And we wondered: what will be next, and how would it affects us. We had to take our precautions. Me and my friend turned our backs against each other so we could look around in different directions. Observed a wild hunt after a old rooster in a village. The tribesmen ran wildly around throwing spears and shooting arrows towards "wild animal". For a while it looked like a "warzone". This rooster was very quick, and intelligent too. Chasing him gave the tribesmen a hell of a time in the heat. It took a long time before we got served our dinner. Hungry as we were, we felt like a opportunistic crocodile who eat whatever they can catch. It was the chewiest rooster I ever have eaten. I think it was the rooster`s revenge to us. My friend woke up in the morning noticing a huge spider on the wall near him in the hut. We woke up in the night hearing a animal running up and down the "bar" (kind of stair) into our hut. We also heard that this animal was eating and we wondered if we would be its next meal. The Insect tribe showed us their catch of a strange animal looking like a kangaroo. The boat`s engine broke down and so we had to walk to the dense jungle. On our way we met some few strange tribes who looked strange at us. One place we passed a tribe where the all the tribesmen coughed. It sounded liked whooping cough. Anyway they didn`t look healthy. On our way to Ambunti, we landed on a hill in the dense jungle. Here it was on a short and bumpy landing strip, which was almost impossible to spot from the air, and even worse: it went upright. Masked and armed adults and children rushed out from their huts to greet us, and receive supplies from the pilot. The jungles of Papua New Guinea are full violent stories of tribal fighting and cannibalism. Blood revenge is common. We heard rumours about cannibalism in the area, and it crossed our minds that we could be on the menu. We knew that we were at the tribes mercy. The last thing we could like to experience is to stand in the way of a tribal disagreement, or meet any hungry tribesmen. Villagers we met along the way were warmly welcoming and rushed out to greet us. The only locals we found hostile were the bloodthirsty mosquitoes in Swagup. I really believe that here in swampland there must be more mosquitoes than anywhere in the world. When darkness set we sat down by the bonfire to avoid the mosquitoes, but it was impossible to avoid them all. Some mosquitoes never gave up anyhow we hit after them. They looks like the enjoyed teasing or "torturing" us. The Sepik River region is also home to a rich mix of cultures and ethnic groups. The Sepik basin has the distinction of being perhaps the most linguistically diverse area in the world with nearly 300 languages. Soaring in a small plan above the heart of Papua Guinea, was like going to fairytale land, something totally different from the country I live in, Norway. The people in Sepik are known to be very friendly and hospitable. Traditionally visitors are welcomed with a “sing-sing” (a celebratory dance) followed by a local meal consisting of “saksak” (flour from the sagopalm), fresh and dried fish, pork, chicken, taro, yams, coconuts, bananas, sweet potatoes and any number of leafy greens. The isolated Sepik Valley, is an expanse of lowland swamp stretching for 650km inland. Several hundred tribes live in this wilderness. They collect sago and fruit, hunt cassowary, feral pigs and crocodiles, and create magnificent wooden buildings and carvings. The most amazing wood carving as we observed was in the village of the Insect tribe: there we could admire crocodile head carved out on a dugout canoe. The most important building in the village of the Insect tribe was the Haus Tambaran (spirit house). It was placed in the centre point, surrounded by large wooden masks and figureheads. 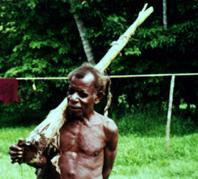 In Upper Sepik some men practise polygamy. It`s hard to say how widely it was spread. There the men buy, or shall I say exchange, brides for seashells and sometimes pigs. On the second day in the village of the Insect tribe we met the tribe chief, who was a very nice and wise person. I gave the chief some cigarettes and tobacco, and then he shone like a sun, and gave me the warmest thanks. The Upper Sepik is for real explorers who will experience the untouched. You have to go there before is too late. It will not take long before these natives will be influenced by the modern world too. Book about crocodile hunting in Papua New Guinea: The Last Paradise, Tom Cole - Crocodile hunting in Papua New Guinea. Papua New Guinea is one of the most linguistically diverse places on the planet with more than 800 indigenous languages spoken and a population of about seven million people. Only about ten percent of the languages are properly documented, and the rest have little more than a name or a short list of words. Papua New Guinea consists of eastern New Guinea along with New Britain, New Ireland, Bougainville, and six hundred small islands and archipelagos. The land area is over 178,000 square miles (462,000 square kilometres), with the mainland accounting for 80 percent. The western half of the island is the Indonesian province of Western Papua, also called Irian Jaya. To the south is Australia, and to the east and southeast are the Solomon Islands and other Melanesian countries. 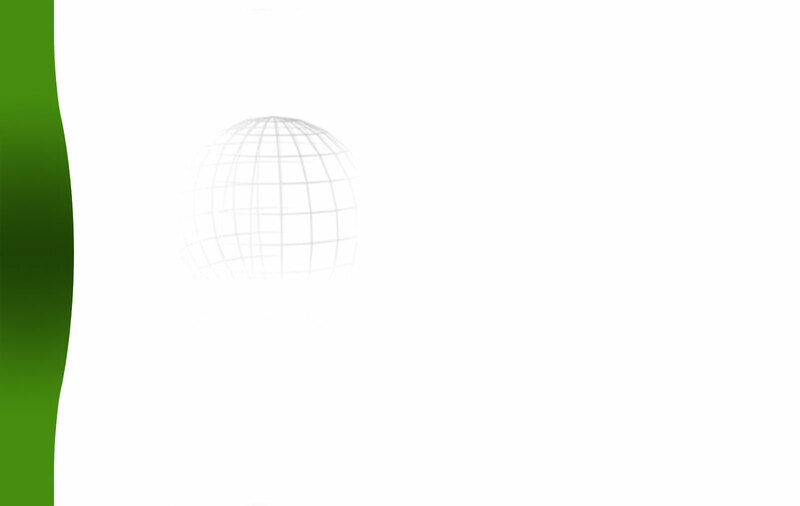 To the north and northwest are the Philippines, South Korea and Japan. Over 75 percent of the country is covered in rain forest. Swamp forest is found in the poorly drained lowlands, and sago palm is a staple food of the people living there. Around Port Moresby and in drier areas to the west, there are grassy plains and savannah woodlands. What to if you meet a crocodile? What alternative would you choose? Pretend as you are dead. Mantises are an order (Mantodea) of insects that contains over 2,400 species in about 430 genera in 15 families. The largest family is the Mantidae ("mantids"). Mantises are distributed worldwide in temperate and tropical habitats. They have triangular heads with bulging eyes supported on flexible necks. Their elongated bodies may or may not have wings, but all Mantodea have forelegs that are greatly enlarged and adapted for catching and gripping prey; their upright posture, while remaining stationary with forearms folded, has led to the common name praying mantis. Source: Wikipedia.